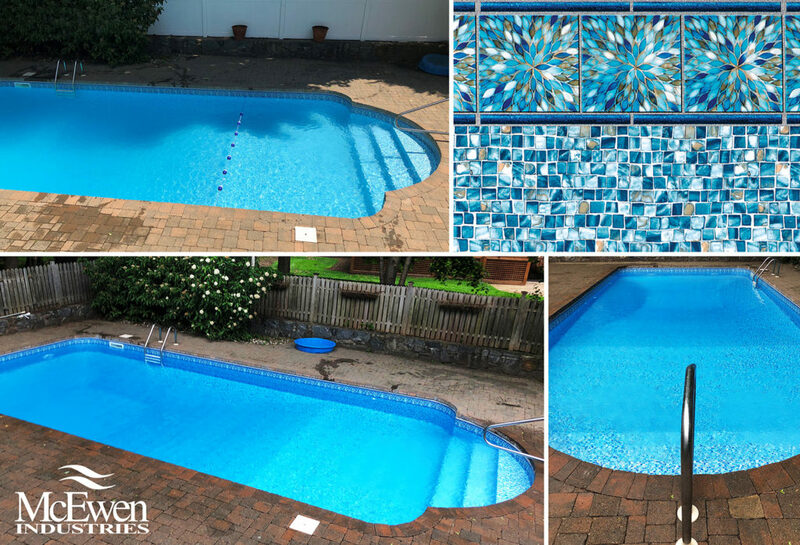 McEwen Industries supplies quality products to pool professionals in the swimming pool industry. 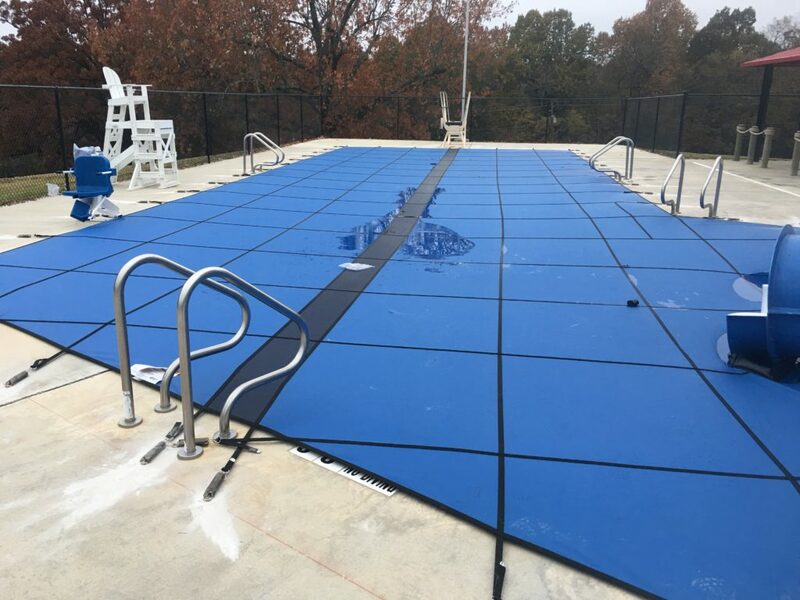 Our specialties include inground pool liners, above ground pool liners, safety covers, in ground pools and above ground pools. All of our products are custom designed and meticulously crafted to ensure years of carefree use. Picture of our new Barclay pattern installed! Click here to see our entire 2018 in-ground liner collection. Ross is featured on our popular Pence floor with a new updated tile border showcasing a kaleidoscope of beautiful petals. The mother of pearl accents with the mix of blues and turquoise will make you feel like you are on a tropical island getaway! 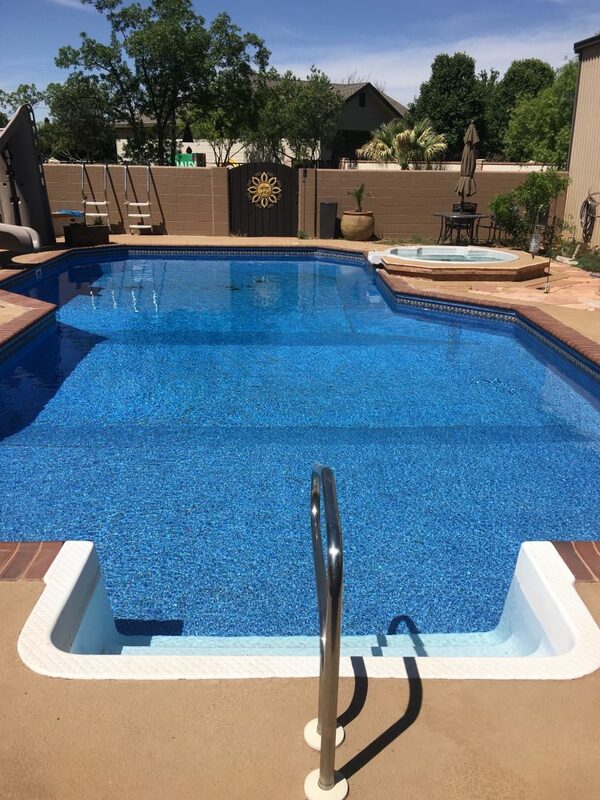 Enjoy these pictures of our “Ross” swimming pool liner installed. 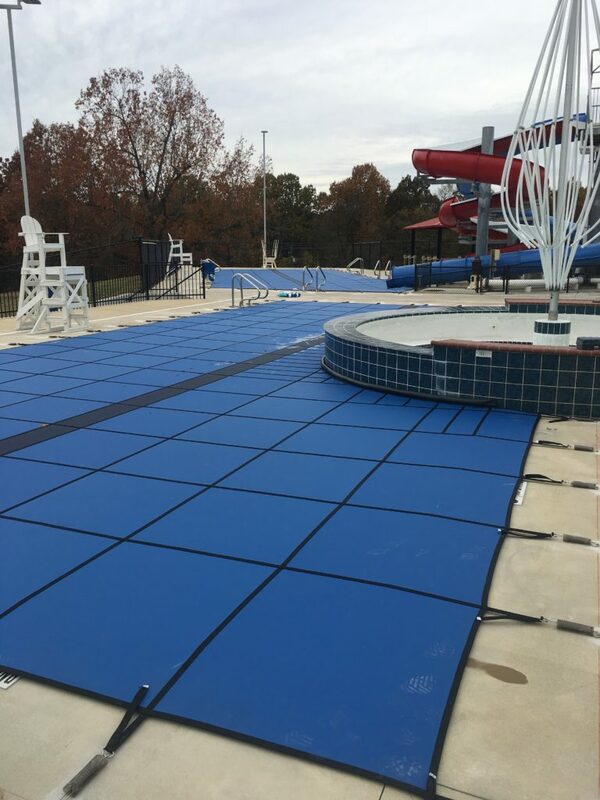 Click here for more information on our in-ground swimming pool liners. New for 2018, Drummond is featured on tan vinyl with a stone pebble floor and strong geometric patterns. 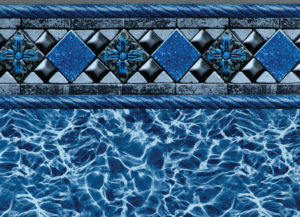 The rich earth tones with a highlight of blue will accent any deck and turn the pool water into a beautiful aqua color. It is available in fully 27 mil. New for 2018, Jameson is featured on our new brilliant blue vinyl. It is a stunning variation of our popular Sinclair pattern. It is a combination of blue jewel tones brightened with touches of lighter blue and a mix of sophisticated black. It is available in 27 mil. Graham is an exclusive new in-ground liner pattern for 2018 and is a variation of our Sutherland pattern. 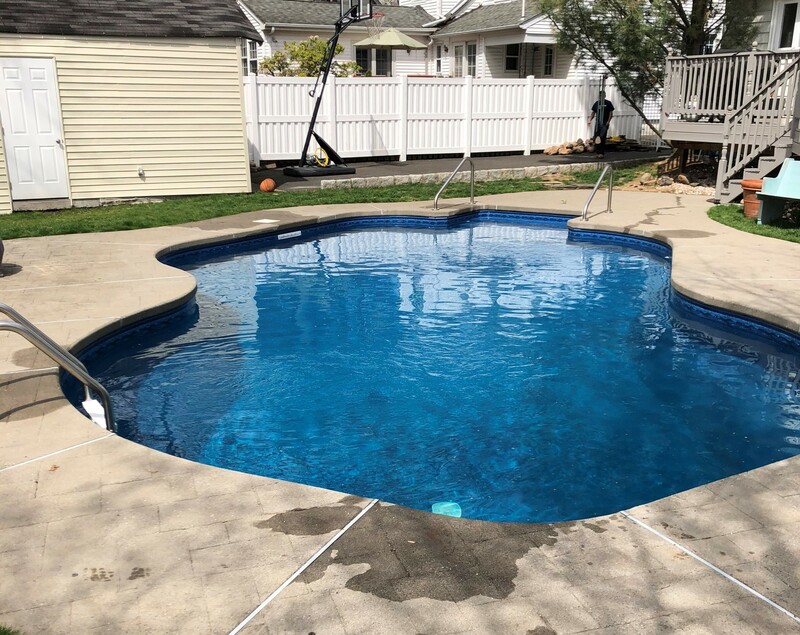 This fully 27 mil liner is for all homeowners who gravitate towards the water reflections floor. 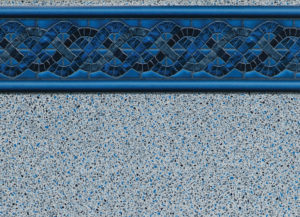 The updated tile border incorporates stone elements with new shimmering metal accents and rich blues and grays. 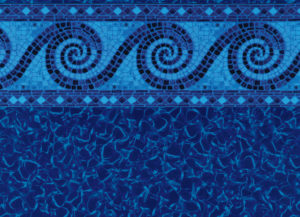 This pattern showcases beautiful architectural details and will make a bold statement in any swimming pool! 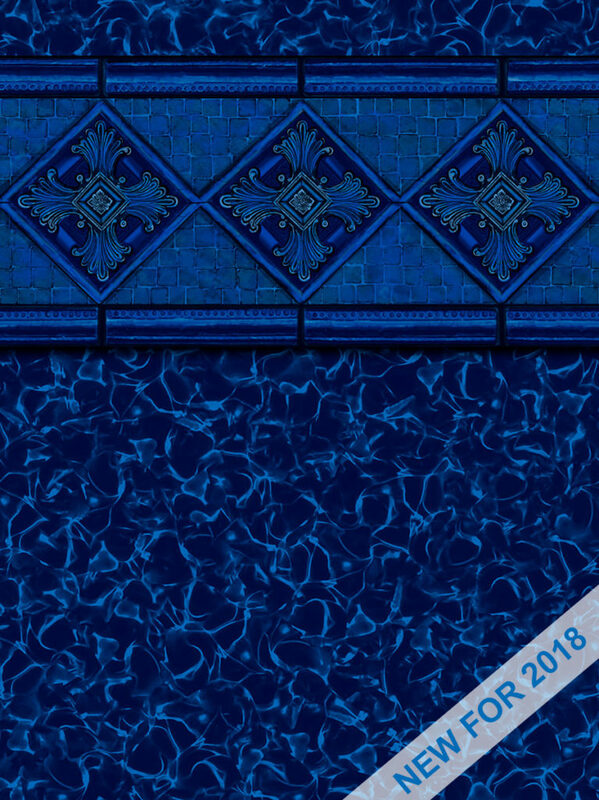 New for 2018, Cumberland showcases a popular tile border in an exciting new color variation. This light gray floor has pops of blue which provides a sparkling crystal water look. 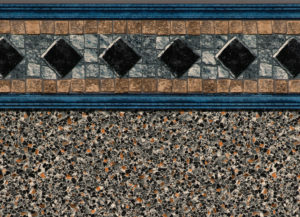 This pattern offers a very unique combination of gray and blue and is available in fully 27 mil. 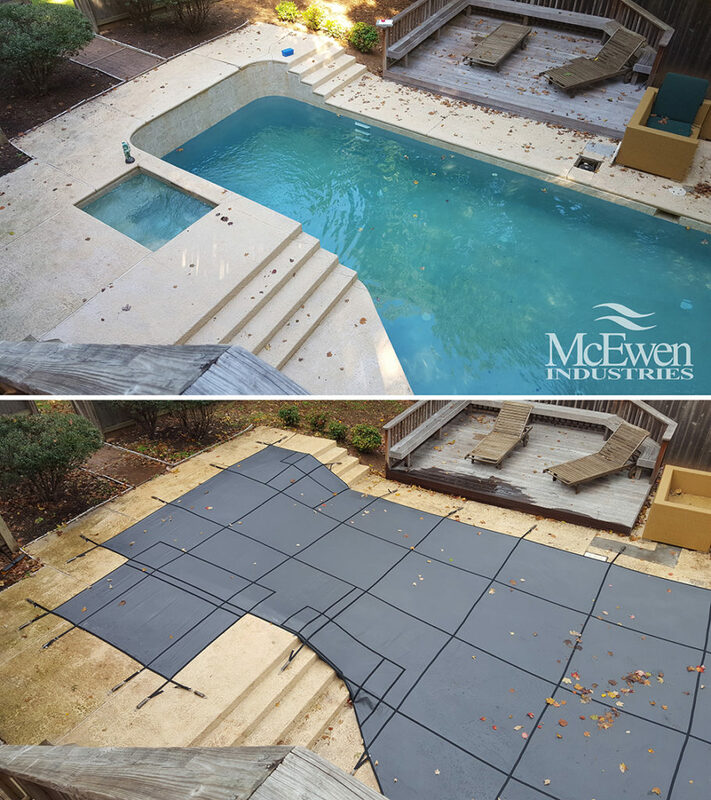 Before and after pictures of an installed McEwen Industries gray fine mesh safety cover. Unique installations are our specialty. Buy from the experts you can trust. 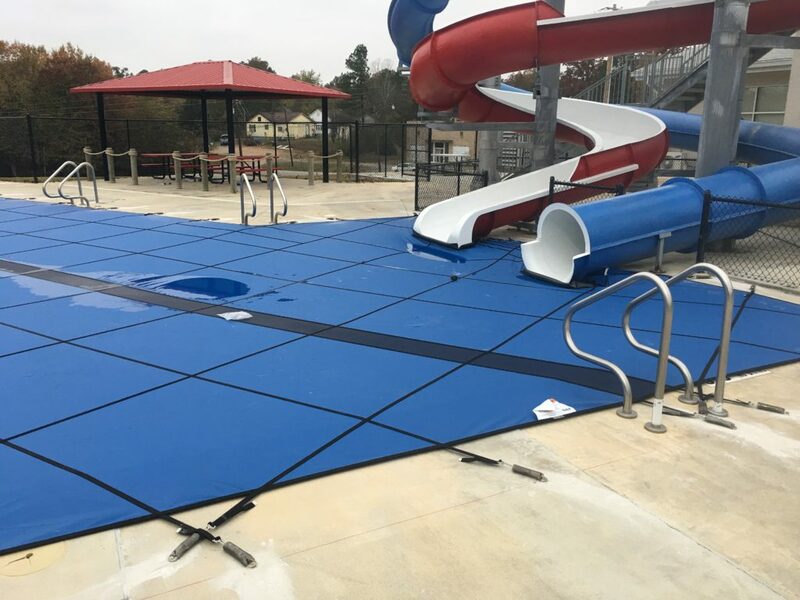 Click here for more information on all of our safety covers. Installed pictures of a McEwen Industries commercial super solid cover with a full-length drain. Commercial safety covers are our specialty. Buy from the experts you can trust. Cameron is an exclusive new in-ground line pattern for 2017. It is a new and improved version of last year’s “Hall” pattern. The stones have a golden brown/beige color and it looks great installed! It is offered in fully 27 mil.